Elementor is one of the most popular WordPress page builders around. Millions of people use it to help them create amazing websites. However, not all themes play nicely with Elementor. Fortunately, there are a lot of themes that do work perfectly with the page builder – it’s just a matter of finding them. Combine those themes with Elementor templates and you have the makings of a great website, no matter what type of project you’re working on. In this article, we’re going to talk about how Elementor templates and themes work. Then we’ll go over 20 of our favorite options, to help you find the perfect one. Let’s jump in! It’s important to understand that themes and templates are two different things. First, when we talk about ‘Elementor themes’, we’re referring to those built with the page builder in mind. That means you can use Elementor with those specific themes, and know your pages are going to come out looking and working perfectly. In our experience, Elementor works great with most modern themes. However, if you want to be sure about compatibility, it doesn’t hurt to pick one of the themes we’re going to introduce you to in this article. Templates, on the other hand, are designs you can import using Elementor to set up pages quickly. Even if you use templates, you’ll still need to set up a theme beforehand. The advantage of templates is that you can use them as a foundation for your own pages, or add the information you want and leave them as-is, leading to faster development. On top of that, you can also create your own templates with Elementor, which enables you to re-use them later on other projects. Elementor themes install and activate just like any other. As long as you have the page builder installed, you can get right to work on your website. To use templates, you’ll need to edit a page using Elementor. You can do this by clicking the Edit with Elementor button, which will be above the editor of any post or page if you have Elementor installed and activated. Now, all you have to do is select the template file on your computer and upload it, and it will show up in your library. That means it’s ready for you to use on any page and with any theme. If you want more information about how to use Elementor, check out our full tutorial on the page builder. For this section, we’re focusing on free versions of themes, so you can jump right into testing them with Elementor. Keep in mind, though – most of these themes also include premium versions, in case you need a little extra firepower. If you’ve been around for a while, you know the Layers theme used to include its own page builder tool. Now, Layers has been revamped and is part of the family of Elementor-friendly themes. The result is a theme that enables you to customize every little aspect of its style using Elementor, which is ideal if you’re all about pixel-perfect design. The Sydney theme is perfect for businesses that want a clean, modern look for their websites. It includes several custom building blocks for Elementor, including gorgeous Our Team sections that enable you to showcase all the talent within your business. GeneratePress bills itself as a ‘lightweight’ WordPress theme, which is to say, it’s all about performance. That means GeneratePress websites often load much faster than their competitors, which can give you a nice edge. 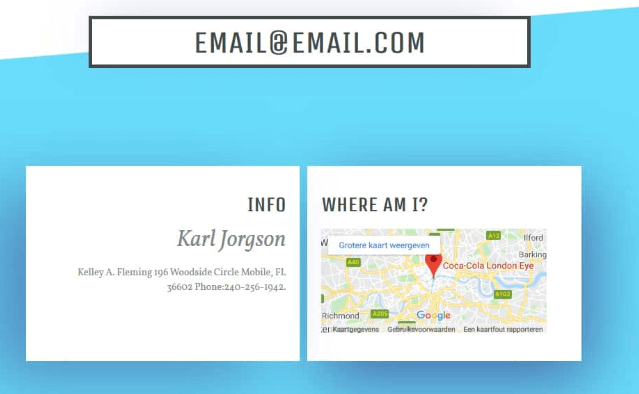 It also includes per page layout controls for customization with Elementor. Hestia is a very flexible theme you can use for business sites, online stores, portfolios, and more. When you pair it with Elementor, the theme becomes even more versatile, while retaining its modern style. Astra packs an excellent mix of customizability and amazing performance. 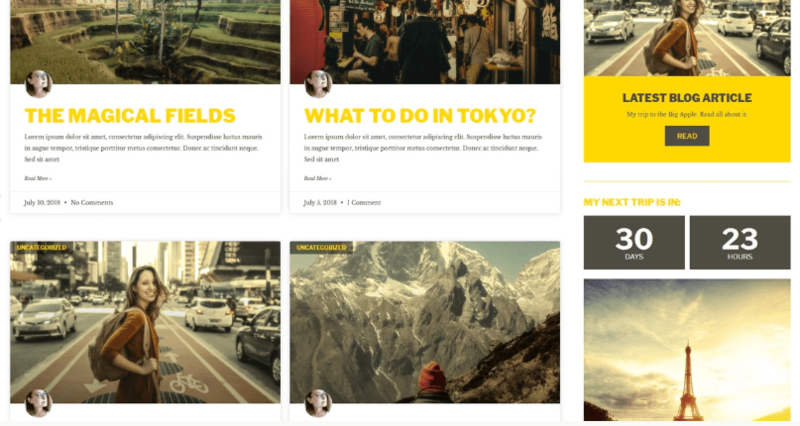 You can use this theme to build blogs, portfolios, and even online stores. It also offers native Accelerated Mobile Pages (AMP) support out of the box, which makes it great for Search Engine Optimization (SEO). If you’re willing to pay, you can also access its library of unique Elementor widgets. Out of all free WordPress themes, OceanWP is right near the front of the pack due to its sheer number of features. You can use this multipurpose theme to build almost any type of site you want, and complement its functionality with add-ons if needed. Neve is a lightweight theme that can be a perfect fit for many types of projects. Blogs, agency websites, and online stores in particular can benefit from its minimalist style. 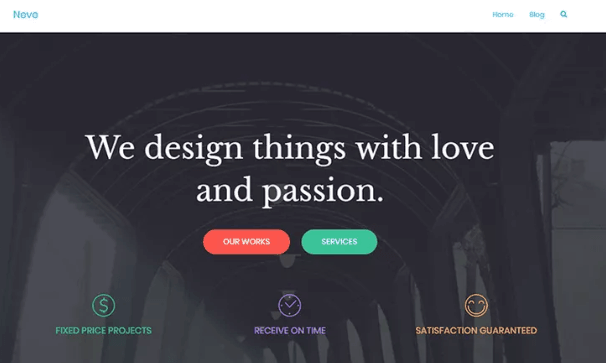 This modern multi-purpose theme fits together with Elementor like peanut butter and jelly. 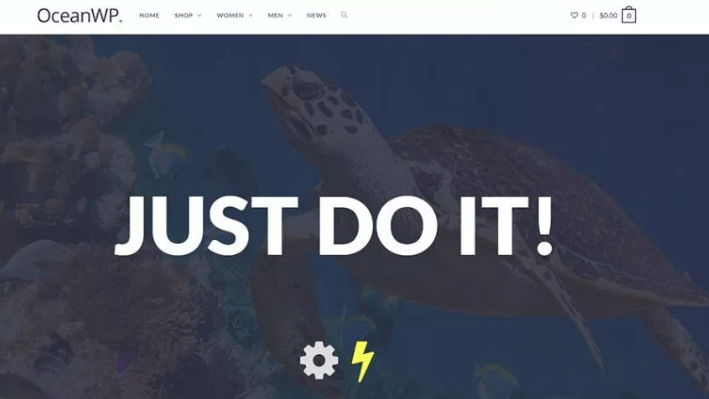 It’s easy to customize, and comes with plenty of templates and full demos you can use with Elementor to get your website ready faster. ColorWay is a one-size-fits-all theme built with performance in mind. 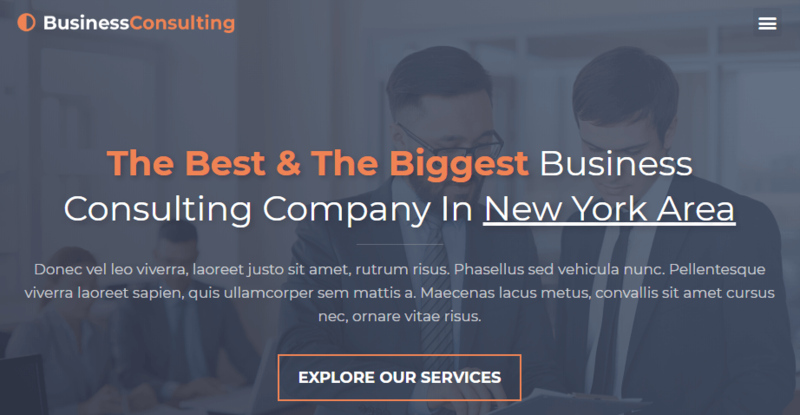 Its clean design is a fantastic fit for business websites, agencies, portfolios, and more. By offering several pre-built sites you can personalize with Elementor, ColorWay makes site building and customization fast and easy. If you’re looking for a theme that was built from the ground up with page builders in mind, this one is perfect for you. It’s lightweight, endlessly flexible, and a perfect fit for almost any type of website. Any of the ten themes above is a perfect foundation for Elementor websites. Once you’ve chosen one, you can start to play around with templates as well. Here are some of our top picks. This template is part of the official Elementor Library, so it comes free with the page-builder plugin. It’s one of our favorites because of its minimalist design, and features excellent use of color to make elements stand out. Here’s another entry from the Elementor Library. If you ever decide to launch an app or a service, this template is perfect for introducing it to the world and driving sales. Restaurant websites need to be gorgeous and professional-looking enough to get customers to go and visit. This template fulfills both criteria beautifully, and enables you to show off your restaurant’s best dishes. Now we’re moving over into the realm of premium templates. Our first pick is worth every dollar, and you could use it for a large company’s home page without changing a pixel (aside from filling in your own information). Licenses start at $16. Every travel agency needs a gorgeous website filled with pictures of faraway places. Otherwise, you’ll have a hard time getting people to part with their money to buy tickets from you. This template is a perfect first step. Licenses start at $16. Blogs are a dime a dozen nowadays, so you need yours to have an eye-catching design if you want to stand out. My Personal Tune is colorful and stylish, and using this template is sure to help you catch people’s attention. Licenses start at $39. If you hope to get noticed as a fashion blogger, your website itself needs to make a statement. Viva la Vogue is effortlessly stylish, with a clean design that’s a fantastic fit for any fashion. Licenses start at $39. Travel bloggers have all the fun, or so they say. However, when you’re hopping from continent to continent, you may not have that much time to design a site from scratch. That’s where this modern template comes in, including a fancy countdown timer to your next big adventure. Licenses start at $39. Resume Delta Blues is one of the most unique Elementor templates you’ll find. With it, you can set up an online resume in a matter of minutes, and it will come out looking gorgeous. If you want to stand out the next time you’re trying to land a client or a job, this template can help you seal the deal. Licenses start at $39. If you’re a freelancer or part of an agency, your website needs to be on point for potential clients to take you seriously. Design Pop includes a home page you can use in either of those cases, to make your agency look like the hottest on the block. Licenses start at $39. Elementor can work wonders with a lot of WordPress themes. However, using an Elementor-friendly theme from the get-go will make your life a lot easier. 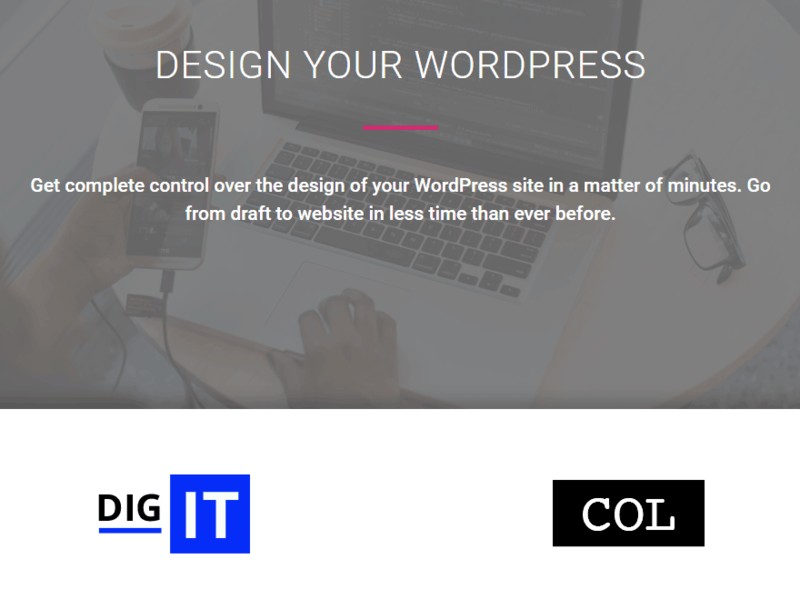 Combine that with the right template, and you can design a professional-looking website in no time. We covered a lot of themes and templates in this article, and they’re all worth your while. As far as templates go, which one you use will depend on what type of website you’re building.